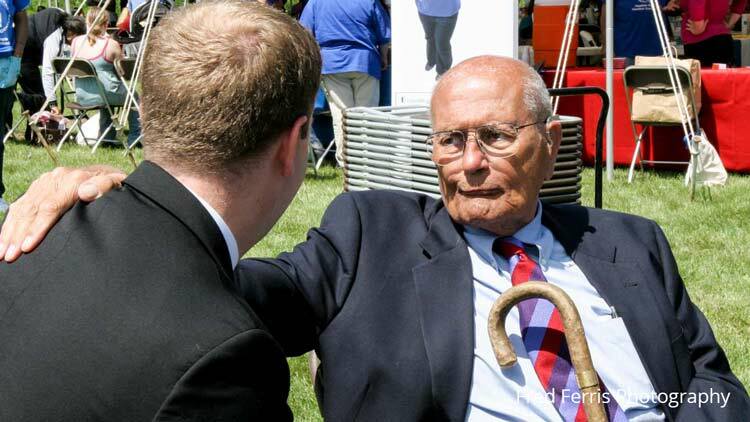 My interactions with Representative John Dingell, while I photographed him several times, was limited in that I really did not get the chance to know him. However, much has already been said about his legacy and his character. One thing I did witness, which is captured in the image above, is his willingness to mentor young politicians looking to make a start in the political arena. I don’t often see that mentioned, but I was able to see it first hand. My work as a photographer has given me experiences that I will cherish forever, and the ability to photograph John Dingell is one of them. With the passing of the longest serving member of Congress in American history, I feel so lucky to have had the opportunity to photograph him and his generous spirit.